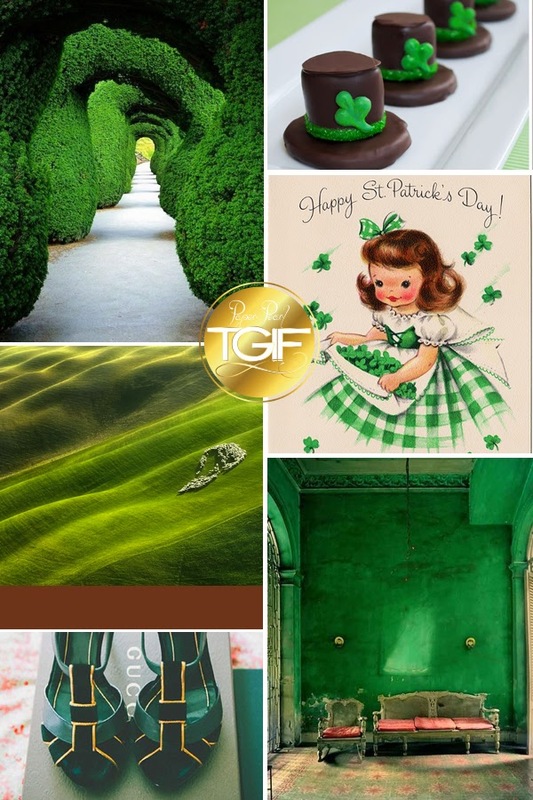 Paper Pearl: TGIF: Thank Goodness I Found Lucky Green! I think St. Patrick's Day comes right at the perfect time, to give us a fresh breath of spring in the brightest green. I hope to some day visit Ireland and experience the beautiful emerald countryside, but until then, I will relish in the enlivening color St. Patrick's Day is famous for. "May the road rise to meet you, May the wind always be at your back, May the sun shine warm upon your face, May the rains fall softly upon your fields." Irish blessing.